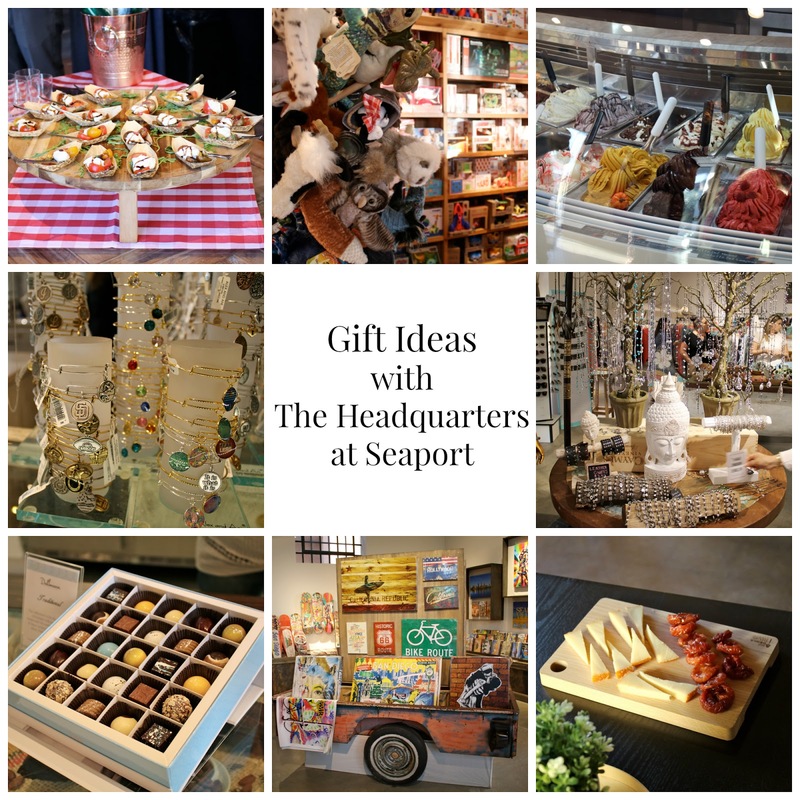 Today I bring you some San Diego gift ideas with one of my favorite local shopping centers, The Headquarters at Seaport Village. 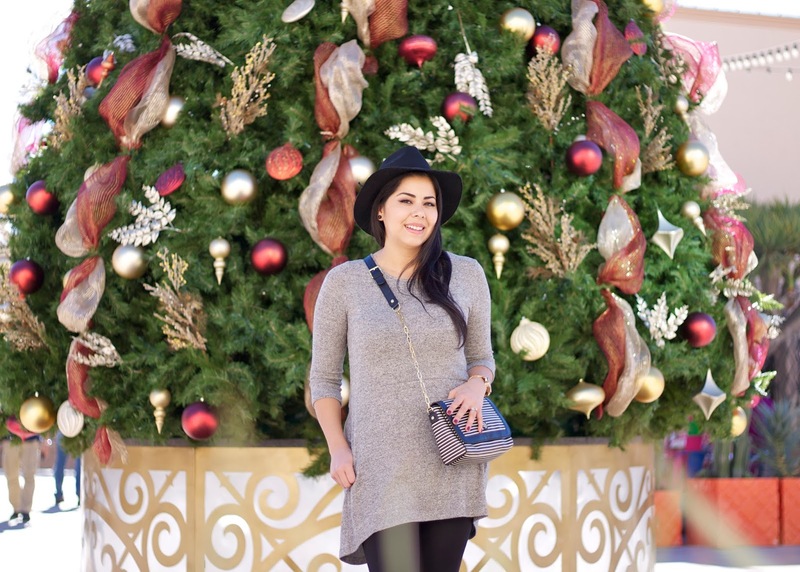 I was recently invited to tour a few of the stores located inside and see some of their hottest gift ideas for this season! Below I have listed gift each ideas from each store- I love that we covered all sorts of gifts from kids to ladies, to anyone who enjoys cheese or chocolate and more! Let's start with food shall we? 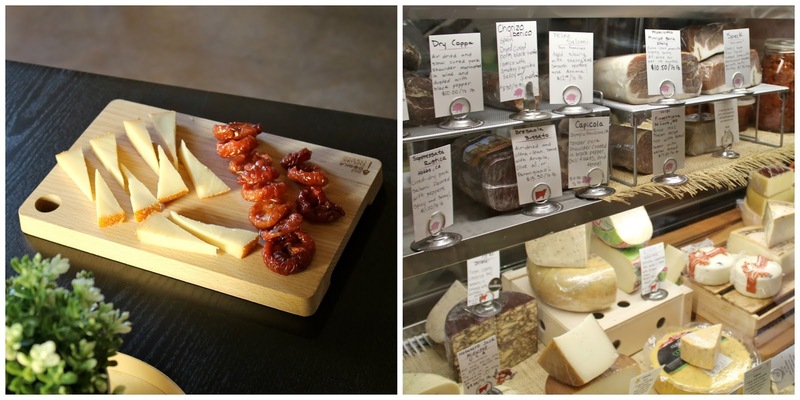 Venissimo Cheese: Aside from having an array of cheeses from all over the world they also host Academy of Cheese (AoC), classes where you can learn what to pair with cheese (i.e. wine, beer, etc). Gift a friend, a couple or significant other a reservation to one of their many cool classes. Dallmann Fine Chocolates: Did your mouth water like mine did when I typed it out? Dallmann Fine Chocolates locally makes their exquisite chocolate and doesn't spare any details when it comes to its decoration. 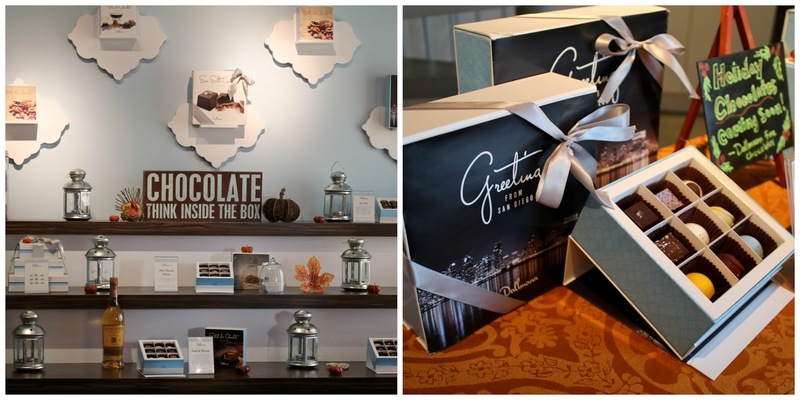 Their chocolate boxes are beautifully made and make great gifts for anyone who loves sweets! I especially love their San Diego gift box (pictured below)! Flour & Barley: Annnd my mouth watered again just thinking of the delicious pizza from Flour & Barley. Pick up a gift card for those who enjoy good pizza and craft beer (especially local beer)! They have cool decor and good happy hour specials! Gelato Paradiso: Just go ahead and treat yourself or a friend with Gelato Paradiso's authentic Italian gelato and sorbetto made fresh in-house daily! So many options, so many flavors! Eddie V's: Gift someone a gift card to this elegant restaurant. 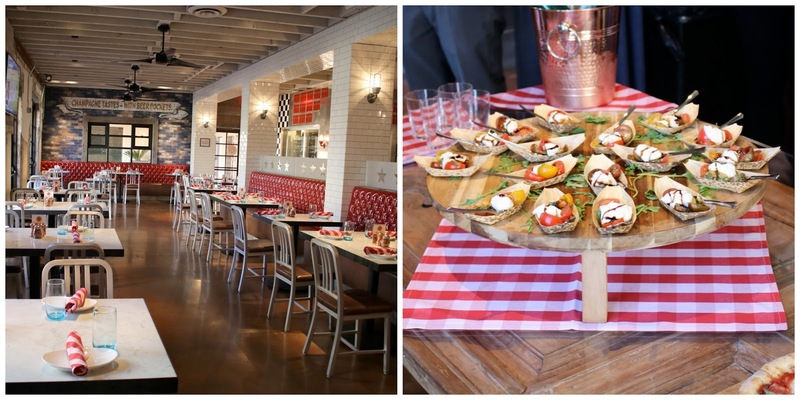 We were able to sample some of their new appetizers and OMG it was so good! The setting felt very romantic, and they have a two-level wine tower! 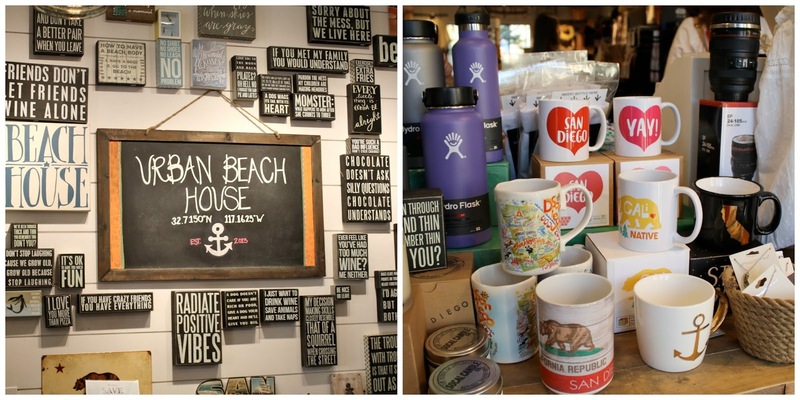 Urban Beach House: Beachside inspired apparel, accessories, and cute San Diego themed items, like the cool San Diego mugs perfect (pictured below) for someone who you want to show some SD love to. 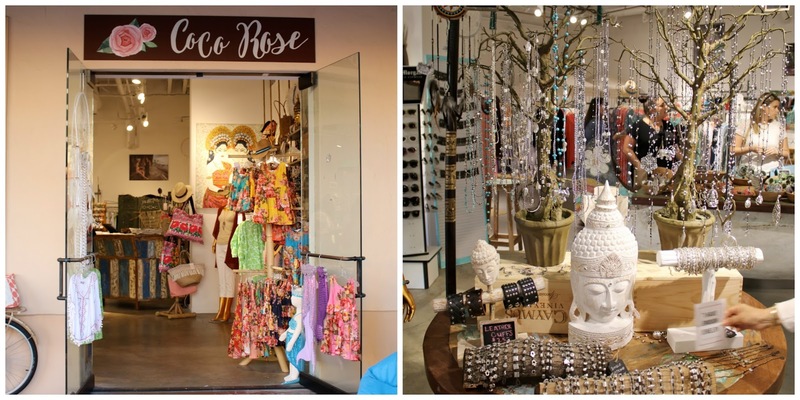 Coco Rose: For those ladies in your life who love accessories and clothing that are beachy (and in this case Bali inspired), Coco Rose offers some cute stuff! My favorite from this store are their dainty necklaces. Gepetto's Toys: And let's not forget about the kids! 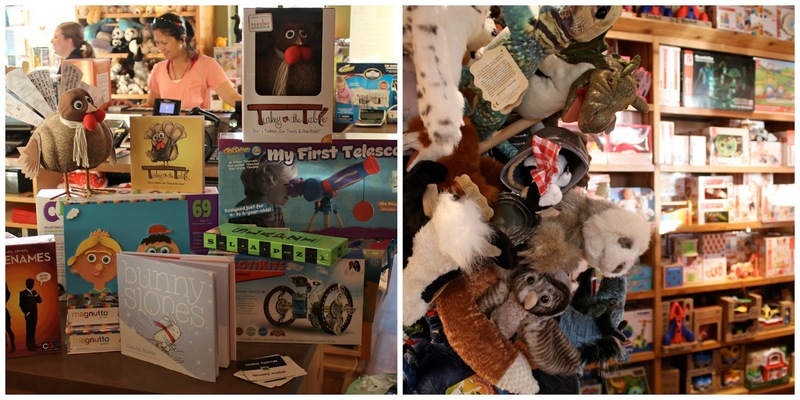 Gepetto's offers good wholesome, educational and classic toys that every kid needs in their toy box! In an era of high tech toys and what not, gift a child a classic toy that they can learn from! Madison San Diego: Features beautifully curated accessories, clothing, leather goods and more! I particularly liked their San Diego team bracelets. 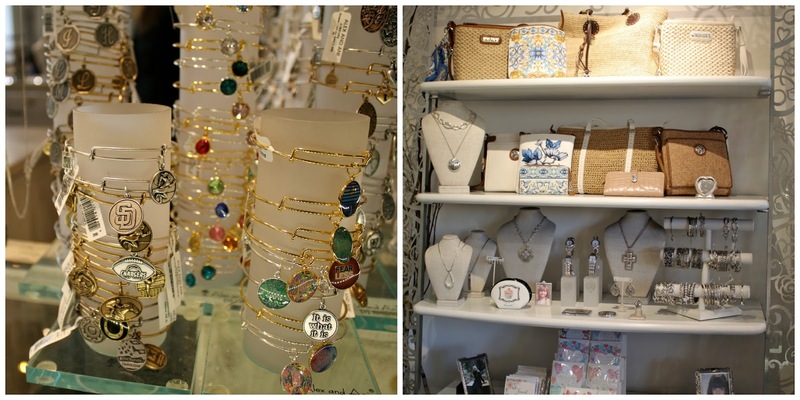 This store is a great place to find a gift for the sophisticated women on your list. United Streets of Art: United Streets of Art has accessories, art work, and so much more! 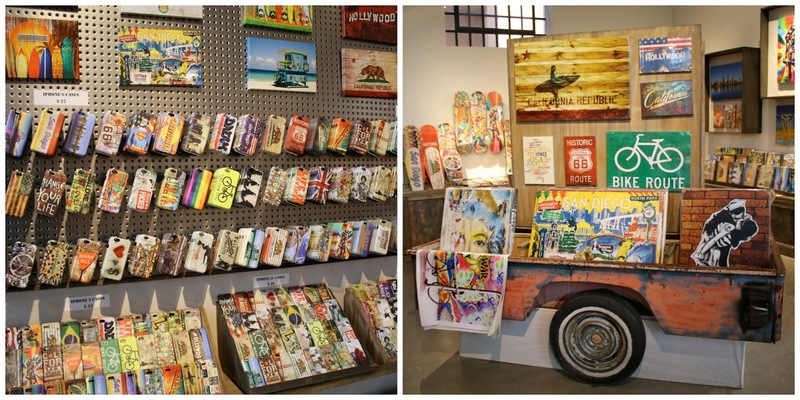 I especially love the colorful canvases, iphone cases and key chains that are unique to San Diego and make great gifts for those who appreciate fun art! And don't forget to check out the Christmas Decor, including the beautiful Christmas Tree inside! If you are in San Diego make sure to visit The Headquarters for your gift giving needs (get it all done in one place!) located at 789 West Harbor Drive, San Diego, CA 92101.